With the last showering rains, Jaipur starts to offer a great journey into the royal kitchens to provide some flavorful, lip smacking dishes. With this begins the food festival to enjoy the fun and festivity with some traditional dishes from all over the world. The food festival gives a perfect opportunity for the entire food connoisseur to savor the distinct and rich flavors from different lands of the world. Jaipur is never out of options when it comes to dining out. 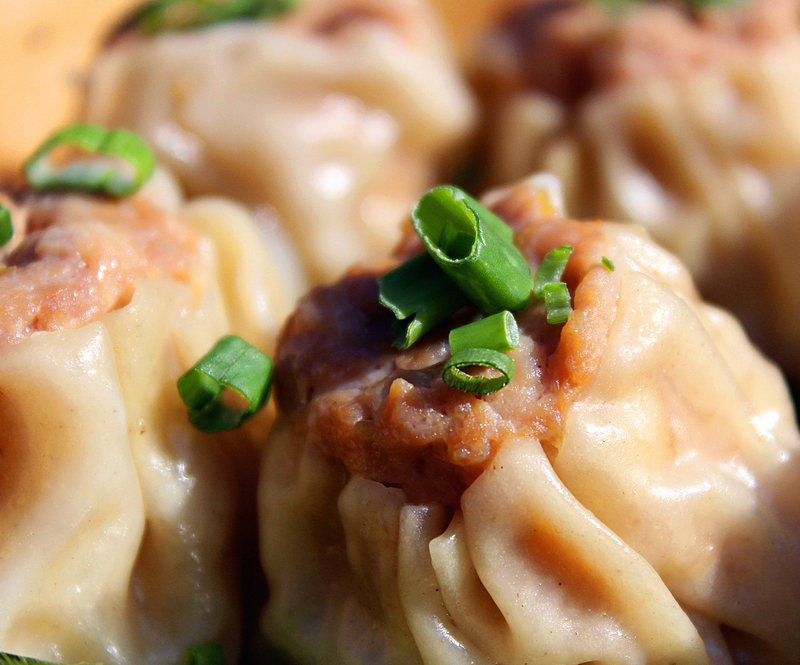 This weekend we tell you where to enjoy lip-smacking food festivals happening across the city. 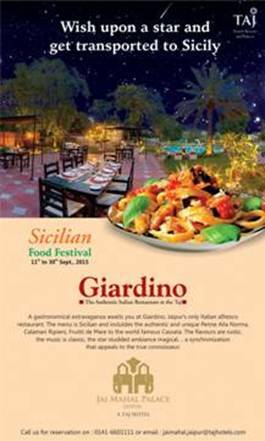 If you really want to establish yourself in the island of Sicily, try the Sicilian cuisine at Jai Mahal Palace (Taj Group) – Giardino. The Sicilian cuisine is a blend of Italian and Arabian culture which can be seen on the platter with the use of apricots, rice, raisins, saffron, pasta, beans, fishes, etc. Enjoy the star studded ambience with some Italian penne Alla Norma, Calamari Ripieni, Frutti di Mare, and not to forget the world famous Cassata. It’s time to enhance your taste buds as we go on a trip around Asia to discover some new flavors and exciting dishes from the Thai and Chinese cuisine. It offers a wide variety of salads, starters, main course and desserts. Some of the varieties which are a must try are Thai Chicken, Veg. Curry, Schezwan Chicken, etc. So drop down at Golden Tulip to savor the Chinese cuisine. Let your taste buds go on a trip around Asia to try out some new flavours and dishes at a food festival going on in Jaipur’s Golden Tulip. 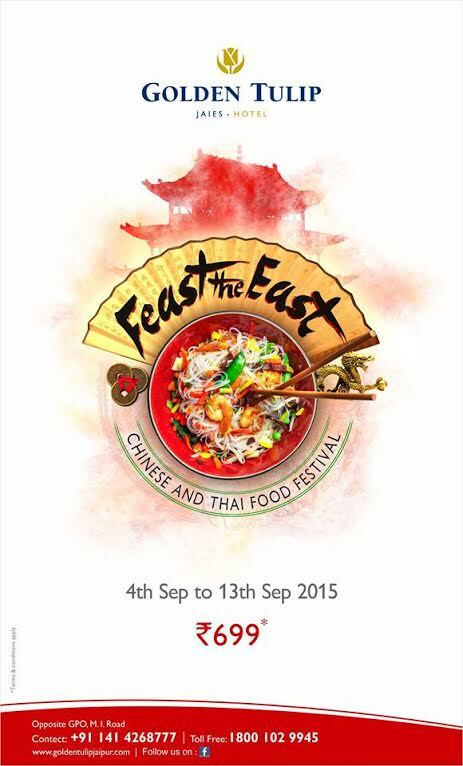 The festival offers a wide variety of salads/ starters, main course and desserts to choose from. As per the food and beverage Manager Mr. Manoj, the guests can relish Thai and Chinese cuisine in a buffet system. For those who are not keen on Thai and Chinese food they can simply have Dal and Paneer as part of the buffet. It’s time to relish life in the Spanish way! 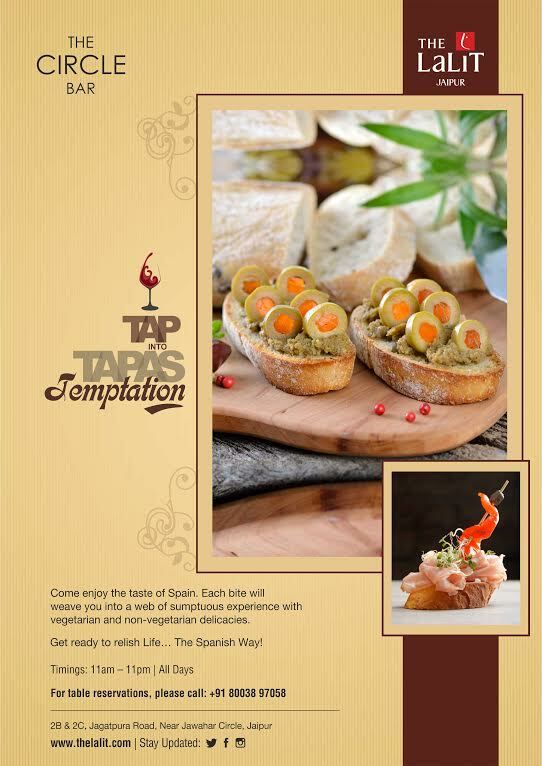 Enjoy the taste of Spain, where each bite will weave you into the web of delectable food with vegetarian as well as non vegetarian delicacies like Croquetas de Jamon ( Crunchy Ham Croquettes), Patatas Bravas ( Spicy Spinach Potato Slice), Empanadas de Qeaso con Albahaca (Basil infused Cheese Empanadas) and much more. Relish the buttery rich traditional Punjabi cuisine with appetizing aroma of some of the signature dishes of Chef Jassi like Jassi di Lassi, Amritsari Macchi, Jalebi te Raita, etc. 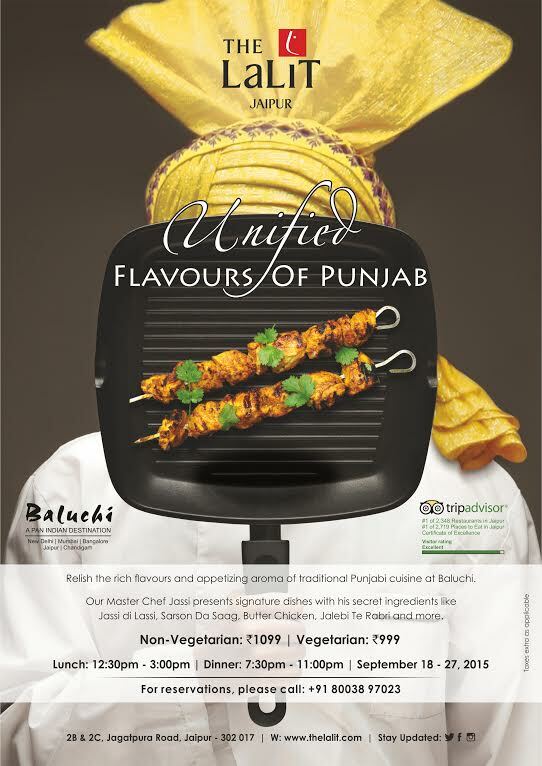 Infusing magic with some secret ingredients and a lot more to offer at Baluchi, The Lalit, Jaipur. So let your Weekend be special! Enjoy in spectacular surroundings, listen to music and devour into the delicious food and drink on offer.